Jonathan Reeves is a pioneer in the application of Building Information Modelling (BIM) techniques using the latest Vectorworks software. BIM involves building a detailed and accurate 3D model of your design proposal that can be used to produce drawings for the project. The main advantage of BIM is the speed and efficiency with which a single building model can be developed and amended to generate a consistent and co-ordinated set of drawings and visuals. jra can provide freelance Vectorworks BIM modelling services for your projects, which can be used to produce a full set of co-ordinated drawings and visuals. 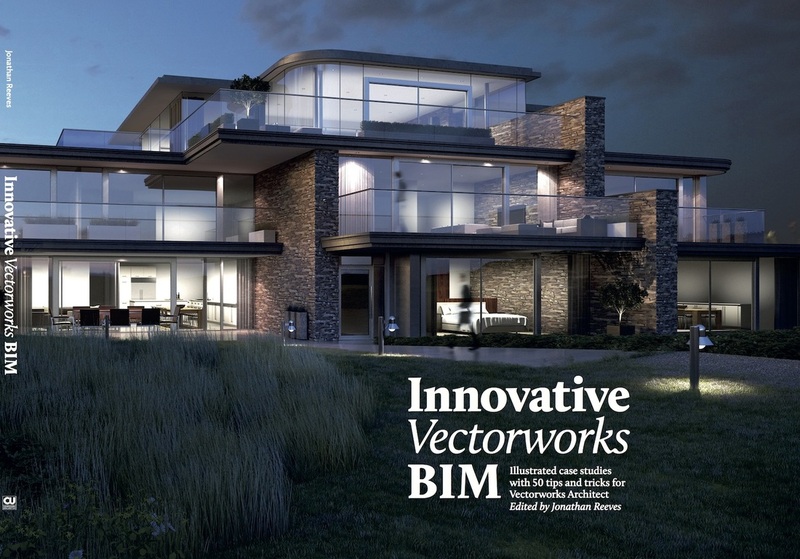 Innovative Vectorworks BIM with 50 Hints and tips for Vectorworks Architect is now available for an introductory special offer price of £20 +£4.95 P&P or £10 for a PDF version.